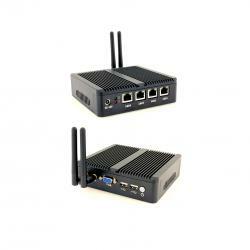 Check out our new M-series: Mobile micro pc for high performance in small jacket. Easy to take with you or use it for integration in your kiosk system. 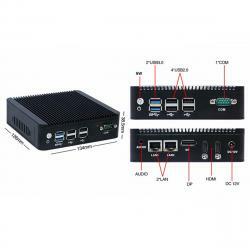 Our own line V-series: Passive cooled (fanless) mini computers with low power consumption ( <15W ) are all made for tough industrial environments and suitable for normal to high demanding performances. 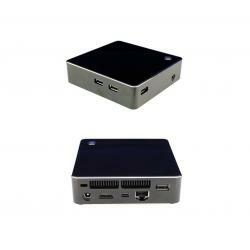 These completely from aluminium designed mini computers are small, from NUC format (series V4) upto the allrounder (series V1. There certainly will be a mini computer that will suits to your demands. All these computers are compatible with our touchscreen systems for almost all type of operating systems, like Windows embedded, Win7, 10 and Linux. 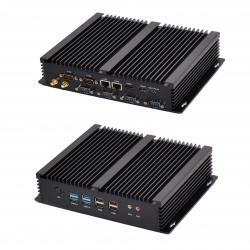 All units have dual video out and are standard delivered with power supply and cables. All units can be delivered from barebone to full option by choosing the options you need. 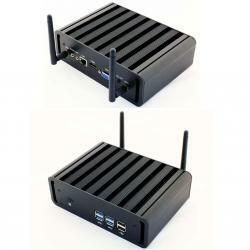 M1 series: Micro computer with N3450 quad core up to 2.24 ghz processor. Professional solution with all necessary connections and Win10 Pro installed. V1 series: Tough housing with flange for easy mounting. Especially designed for industrial purposes with 6 RS232 ports and lots of more screwable connectors. Intel i3 and i7 processor models available. 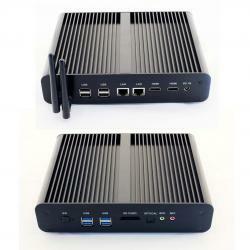 V2 series: Strong but elegant black housing for use as mini desktop computer (vertical or horizontal placed) Very powerfull i7 processor and all neccesairy connections for high demanding purposes. V3 series: Nice square silver aluminium designed housing for use as mini desktop computer (vertical or horizontal placed) i5 processor for general use. 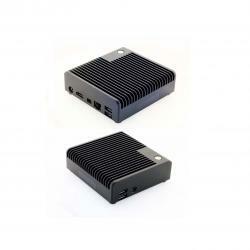 V4 series: Our smallest computer in NUC format, 11x11x3.4 cm in anodised black and silver aluminium available. 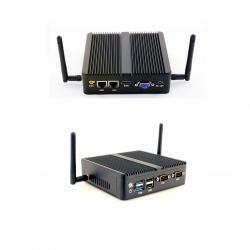 This unit is small but very powerfull with Intel i7 processor ! V5 series: Small low budget computer with Intel celeron processor for easy purposes. 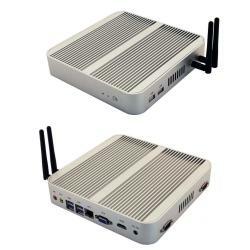 Due to dual lan port it can be used as small server or logging activities. V6 series: Very powerfull system with great housing build to show its performance of Intel i7 processor.